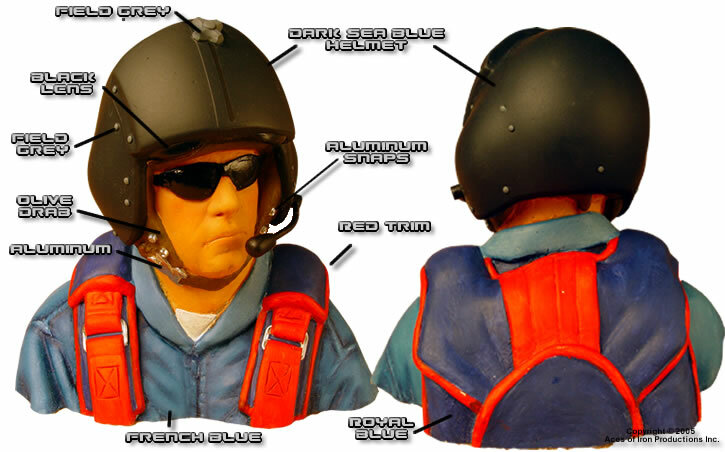 This figure is the first civilian pilot made by Aces of Iron Productions Inc. This is the most versatile pilot ever made by Aces. 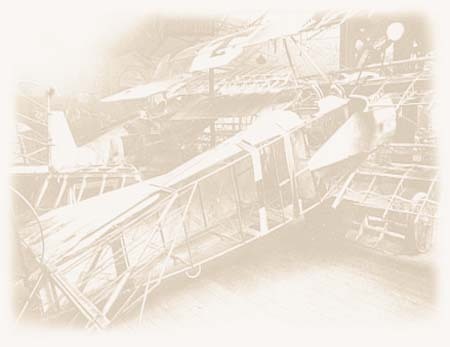 The pilot is a typical bust sized to fit in most cockpits. This figure fits like a glove in almost any style aircraft. This is the figure to pilot warbirds like the P-51, P-47, T-6, T-28, T-34 or any other you are likely to find at an airshow. This figure is perfect for all the aerobatic aircraft as well (YAKs, Edges, Extras, CAPs, Sukois, Pitts or ultimate Bipes). This pilot would look great in the Miss America P-51 as well. The pilot is made of durable resin. The body is hollow cast to ensure he is flight worthy. The pilot is shipped unassembled and unpainted ready for you to assemble and paint and will accept both enamel and acrylic paints. The pilot is a cinch to paint as the sunglasses cover the hard stuff. The helmet can be easily painted to match your plane's scheme. 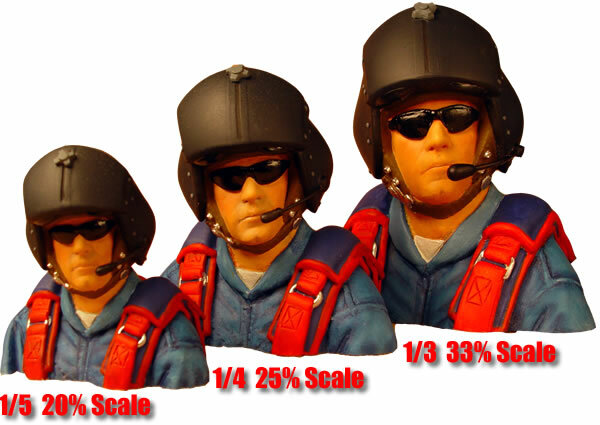 The 33% scale figure has a thin hard resin skin for lightweight and is filled with rigid polyurethane foam for super structure. Note: The boom microphone is not included in the kit but can be made with some wire or solder and a drop of white glue to simulate the foam on the end of the boom. All Text and Images Copyright © 2005 Aces of Iron Productions Inc.
You can create your own masterpiece. The Aces of Iron Website Provides step-by-step instructions on painting Flesh, Leather, Eyes, Goggles, etc. There are Infinite Color Schemes for this Figure. You can paint your pilot to match your plane's scheme. Below are examples we painted. ALL PURCHASES MAY BE COMBINED FOR SAVINGS ON SHIPPING, SEE BELOW FOR SHIPPING RATES ON ALL PILOT FIGURES. THANKS FOR LOOKING. ORDERS FOR U.S. DOMESTIC BUYERS ARE SENT VIA USPS FIRST CLASS** OR PARCEL POST** (2-9 DAY DELIVERY). ORDERS FOR INTERNATIONAL BUYERS ARE SENT VIA AIRMAIL PARCEL POST(2-6 WEEK DELIVERY). INTERNATIONAL RATES HAVE INCREASED SIGNIFICANTLY SINCE 2016. INTERNATIONAL SHIPPING WILL BE CALCULATED AT CHECKOUT. INTERNATIONAL SHIPPING IS USUALLY $10-15 PER FIGURE. **Due to USPS Postal Rate Increases and Subsequent Service Restructuring, Priority Mail Service is no longer available for shipping these figures.